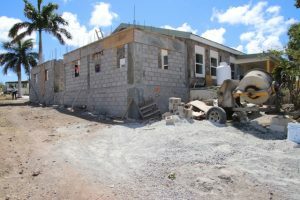 NIA CHARLESTOWN NEVIS (March 19, 2019) – Construction work is currently taking place to expand the kitchen at Nevis’ Flamboyant Nursing Home. Junior Minister of Health in the Nevis Island Administration Hon. 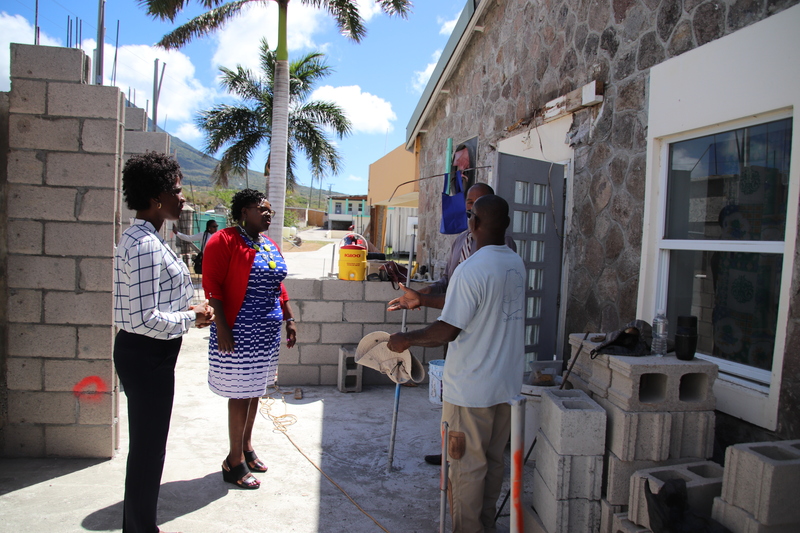 Hazel Brandy-Williams, accompanied by Acting Permanent Secretary in the Ministry of Health Ms. Shelisa Martin-Clarke, Hospital Administrator Mr. Gary Pemberton and contractor Mr. Egbert Clarke visited the site on March 14, 2019. Hon. Brandy-Williams explained that the expansion of the kitchen at the Flamboyant Nursing Home is a necessary accommodation to prepare for work which will be done on the Alexandra Hospital’s main kitchen. “The main hospital kitchen will be receiving some extensive renovation shortly and we needed to expand the kitchen here at the Flamboyant Nursing Home in order to take over most of the work from the main kitchen when that project would start,” she said. Flamboyant Nursing Home kitchen expansion site. Contractor for the project Mr. Egbert Clarke indicated that the project is well on its way and on time. “We started this project on the 18th of February. In my view we are doing very well and I think that the project is on time in terms of schedule. I am hoping that we will be able to complete this project in a few weeks,” he said. Hon. Brandy-Williams also expressed her satisfaction with the progress of the project thus far and said she looks forward to the finished product. The Health Minister stated that work on the Alexandra Hospital’s main kitchen is expected to start shortly.